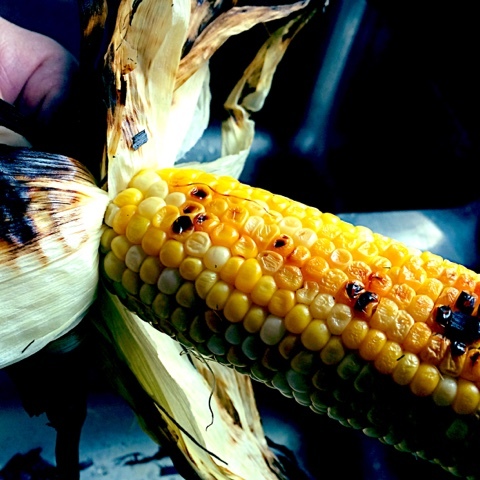 Corn has got to be one of my all-time favorite vegetables of summer. 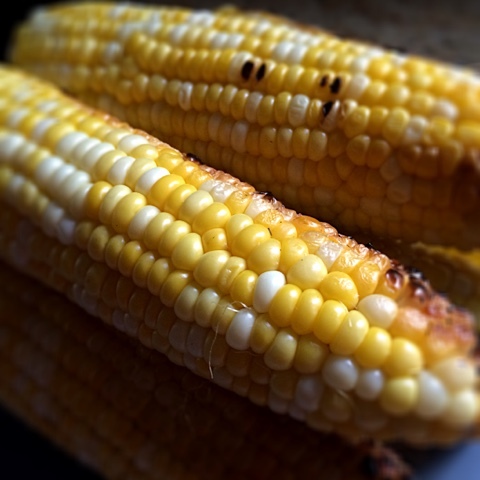 There is just nothing, and I mean NOTHING, like eating fresh summer corn grilled to perfection with a dose of salt, pepper, and butter. If you are on campus this summer, doing a work-study program, living alone and trying to save money, hit up the local farmers market for fresh, seasonal produce and support those tilling the fields all year! Not only that, notice the difference of just-picked fruit and veggies as well as the difference on your college budget! Nevermind the taste! 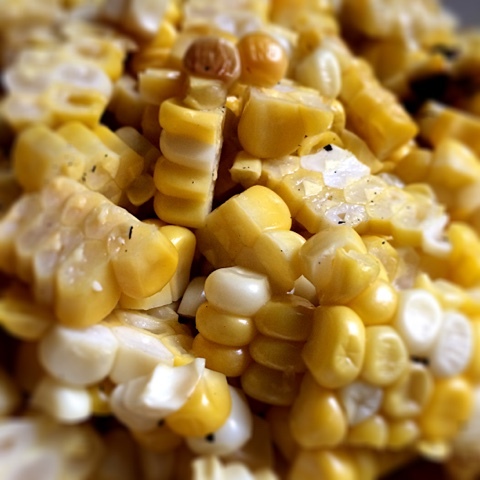 Don't settle for canned corn unless it is winter. Please! 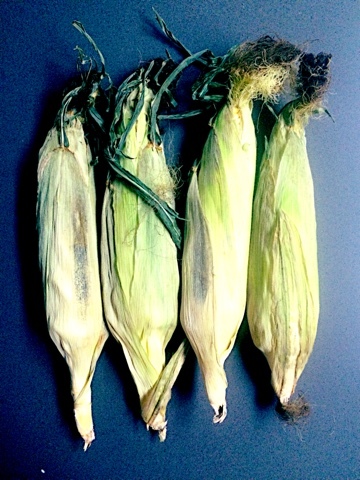 Husks should be green, not brown and dry. 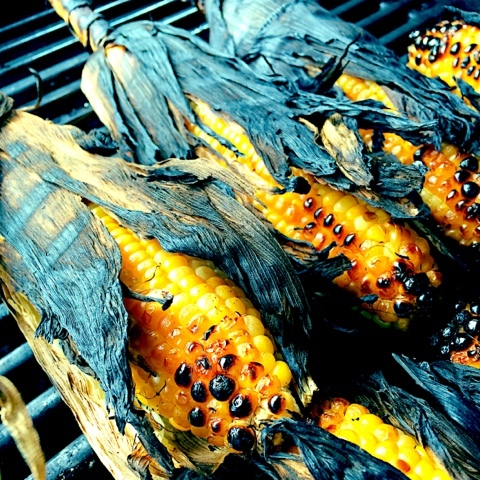 Get your grill--charcoal or gas--ready and fired up. 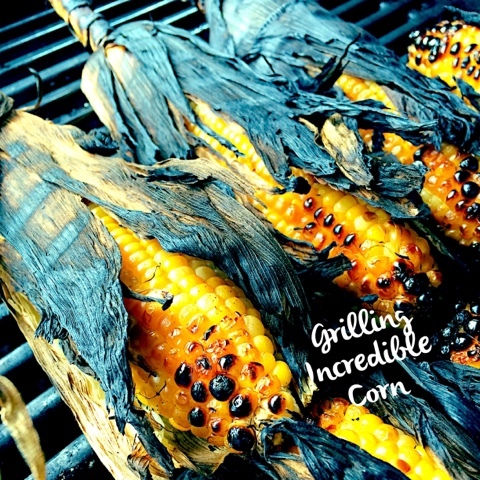 Goal: 400 degrees if you have a gas-grill. 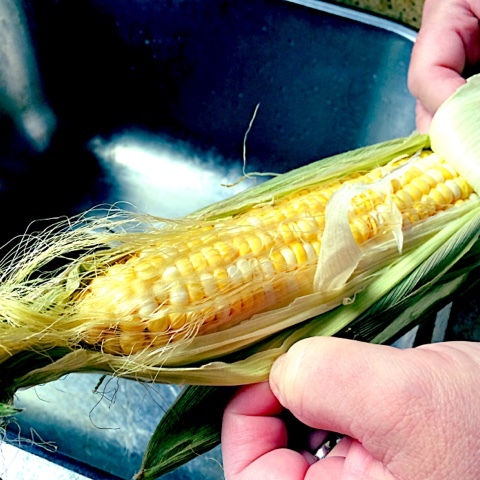 Peel back the outer husk carefully, but do not pull it off. 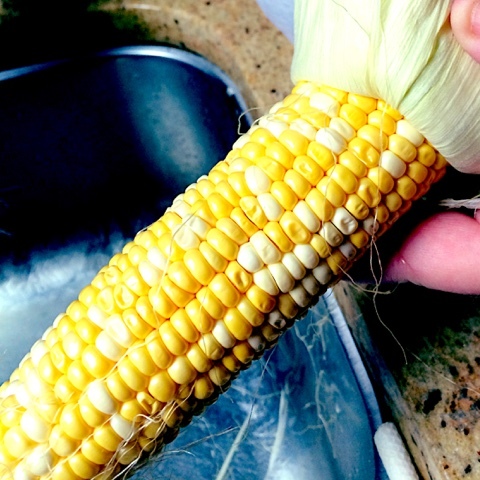 Identify the silk tuft and remove from corn. Brush off any loose silk strands as these will easily set fire. 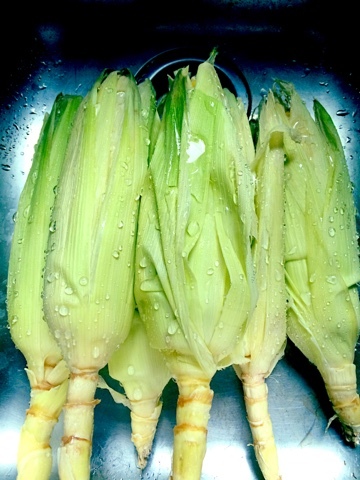 Trim any dry, brown or dark green tips of the husk since these will set fire as well. 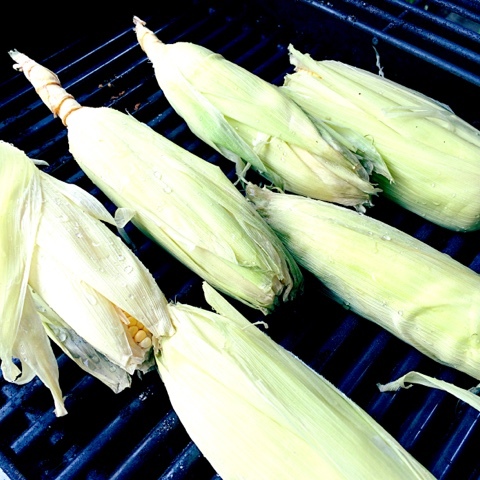 Single layer your corn husks onto the grill, turning every 8 minutes until kernels are browned and deep golden yellow. 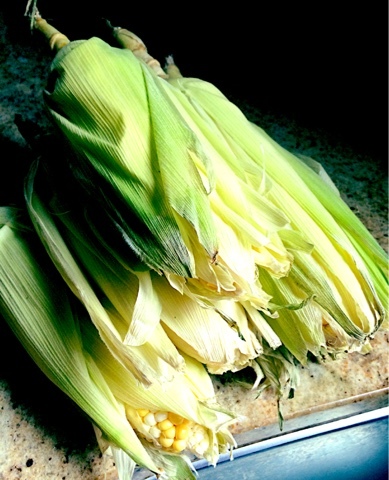 Once done, allow to cool x 5 minutes before removing husks. 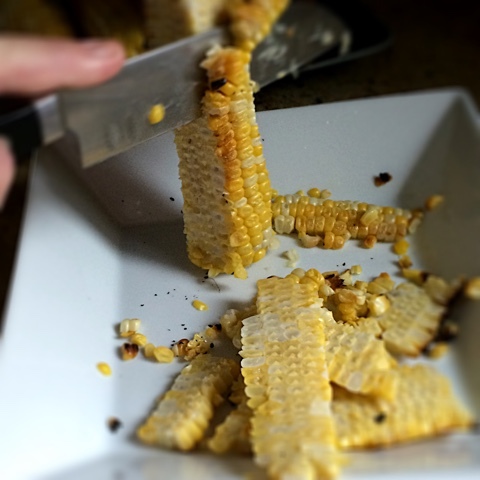 Hold the corn vertically in the middle of a plate. 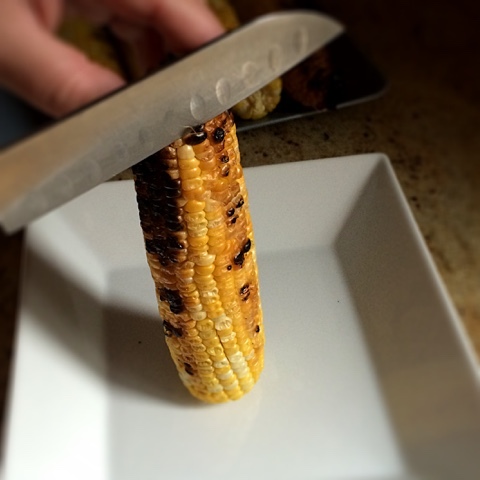 Use a sharp knife to cut from top to bottom of the cob. 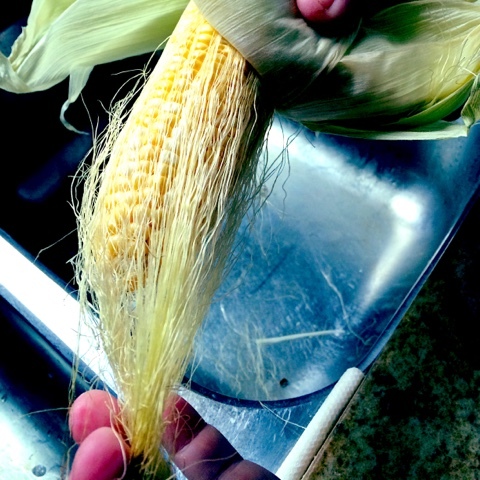 Fresh kernels will fall and collect to sides. Plan to have about 2 cups for tomorrow's recipes, approx 4 cobs needed.